These buckles are white metal, some with gold metal accents. Belts finished with these buckles will have a nice look without spending big dollars. If the belt you choose is wider than the width of the buckle, we taper (narrow the width in front) the belt if necessary to fit the buckle, so the width of the belt is independent of the buckle. The taper has the effect of framing the buckle on your waist. 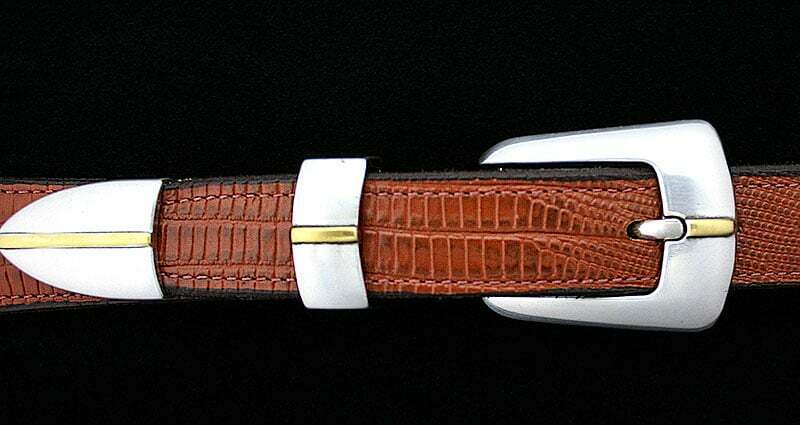 We can also do the belt the same width as the buckle for a more conservative, dressy look. We can not put a narrower belt on a wider buckle....it just doesn't work. These buckles are white metal, some with gold metal accents. Belts finished with them have a rich look at a reasonable price. If the belt you choose is wider than the width of the buckle, we taper the belt (narrow the width in front) to fit the buckle. The taper has the effect of framing the buckle on your waist. 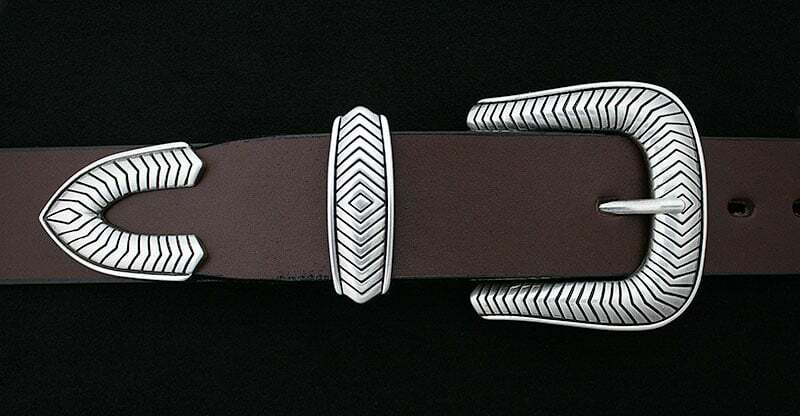 We can also make the belt the same width as the buckle for a more conservative, dressy look. However, we cannot put a narrower belt on a wider buckle.